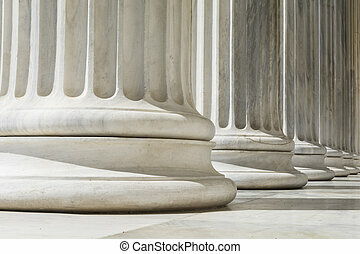 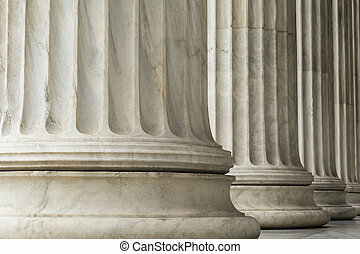 Pillars of law and order. 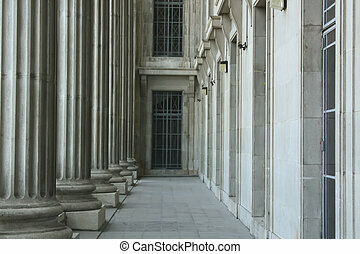 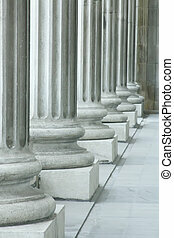 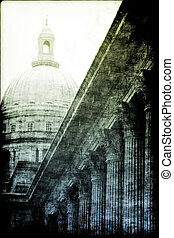 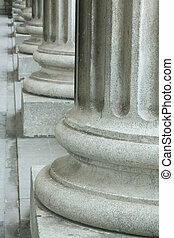 Colonnade of Ionic order columns, close up. 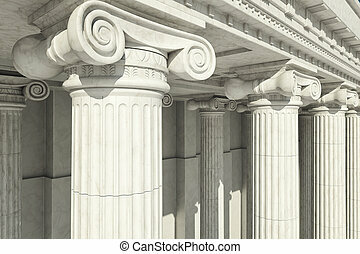 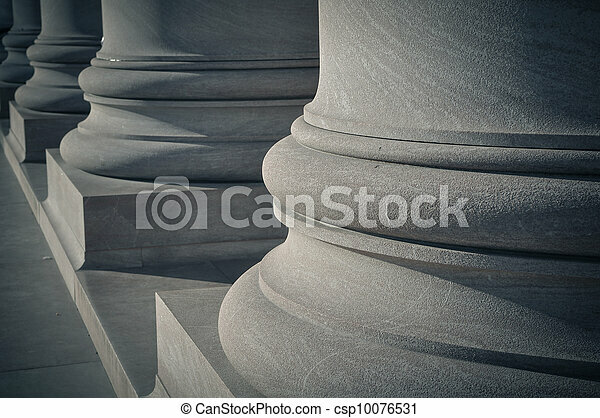 Close-up shot of a line of Greek-style columns.